The iPhone 6 was unveiled, which means it’s time for the vultures to circle in. 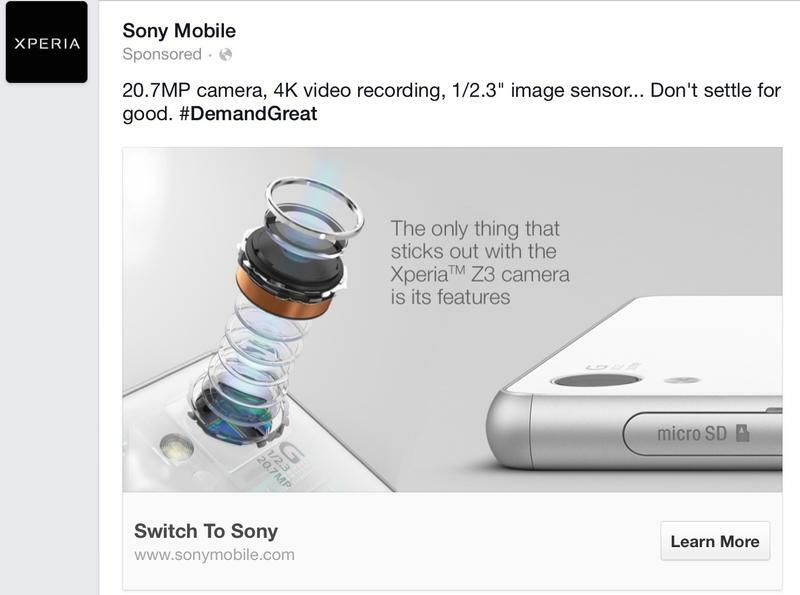 Both Samsung and Sony have put up attack ads slamming the new iPhone 6—Sony is much more subtle about it, while Samsung, which has spent millions in marketing dollars making fun of Apple and its fans, is unabashedly crass and brazen; the company even uses a new hashtag to start the anti-iPhone 6 campaign before it has even been released (#MoreThanBig). 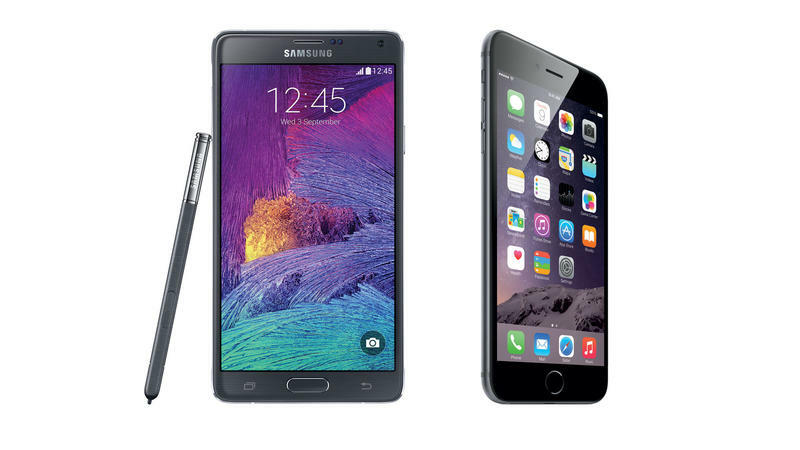 Samsung must be upset that Apple, which unveiled its iPhone 6 yesterday, is able to get its device quicker to market. In the Tweet, Samsung invokes an older Steve Jobs quote to get its point across: No one is going to buy a big phone,” the ad points out. “Guess who surprised themselves and changed their minds.” I suppose Apple should be ashamed of itself for changing its mind. What hypocrites! Down with Apple! All these years later, Samsung still can’t get over the fact that Apple is a popular company and makes popular phones; Samsung even preemptively put out commercials poking fun at the iPhone 6 before it was announced. Talk about neurotic. Sony, meanwhile, uses the iPhone 6’s announcement as an opportunity to point out the device’s protruding camera, which many Apple fans have already admitted is a bit of an eye-sore. “The only thing that sticks out with the Xperia Z3 is its features,” the ad says. “Don’t settle for good. #DemandGreat.” Sony designs have always been solid, and it is a bit of a disappointment that the iPhone’s now sticks out slightly. This is a familiar tune that happens regularly throughout the year. Even when Apple isn’t releasing new products other companies are attacking the iPhone maker. 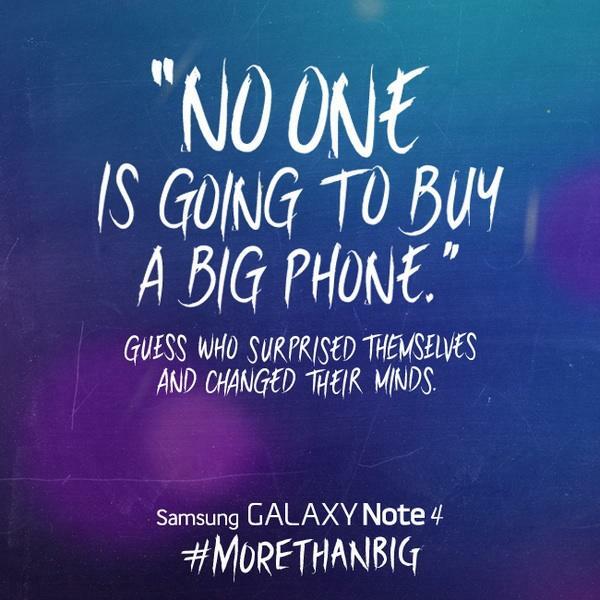 I’m not really sure what Samsung is attempting to say with the #MoreThanBig campaign. The Galaxy Note 4 is certainly a terrific big Android device, but is it really that much of an upgrade over the Note 3? Some might say yes, others will tell you no; both sides can definitely be argued. We’ll see if “no one is going to buy a big phone” when the iPhone 6 and iPhone 6 Plus launches on Sept. 19.